Fan favorite Kassie DePaiva is set to be a part of the fictional town of Salem. The actress has taken on the role of Eve Donovan on NBC Daytime’s “Days of our Lives.” The role was originated by Charlotte Ross, and tweeted that she could not take on the role again as she was doing episodes and pilots. Daytime Emmy nominated DePaiva first got her soap start in 1986 on “Guiding Light” as Chelsea Reardon. After leaving the show in 1991, she would then take on the role of Blair Cramer on “One Life to Live,” a role she’d play from 1993 til the show’s cancellation on ABC. She would take the Blair character and crossover to “General Hospital” for several episodes, and the internet version of “OLTL” by Prospect Park. 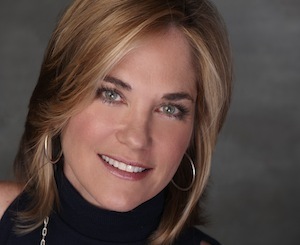 Look for Kassie DePaiva to hit the screen on “DAYS” this summer. ← NBC Renews “DAYS OF OUR LIVES” Through September 2016!